“In principle, all schools around the world share the same goals, however, the methods used to achieve them vary. Knowledge is very important. Knowledge is a tool helping us to realize our potential. But if we do not have the potential, knowledge will be of no help. Potential and intrinsic motivation are what the child of the 21st century needs most. When the children starting school this year graduate, they may choose professions we cannot even imagine today. How can we prepare them for a future we know nothing about? In my opinion, the only possible way to prepare children for the future is to raise free, brave, creative, critically thinking children, who believe the entire world is in their hands. I believe such children will be able to use their acquired knowledge, will not be afraid of change, and will bravely face up to problems and find solutions for them. This is the goal of Queen Morta school – to educate creative, strong, courageous, sensitive and respectful personalities”. The Founder of Queen Morta school – dr. Austėja Lansbergienė. Queen Morta school uses an original educational system developed by dr. A. Landsbergienė with a focus on the needs and challenges of the 21st century. The foundations of this system focus on the capacity to learn and create in an unpredictable and constantly evolving world, to raise questions, to critically assess environmental phenomena and form comprehensive and unrestricted views about the world. The education process is implemented on the basis of the General Education Plan of the Ministry of Science and Education of the Republic of Lithuania. In 2017, Queen Morta school received Cambridge school’s status enabling it to use the International Cambridge education programme Cambridge Primary in primary school and Cambridge Secondary 1 in upper-elementary school. These programmes consist of educational guidance and teaching methods, developed by Cambridge University’s educational scientists and recognized experts in the field, which are in turn applied and adapted by the school to the selected educational system. In addition, Cambridge qualifications acquired upon completing an educational programme are recognized and valued by leading universities and employers around the world as a sign of excellent academic abilities and an education of the highest quality. 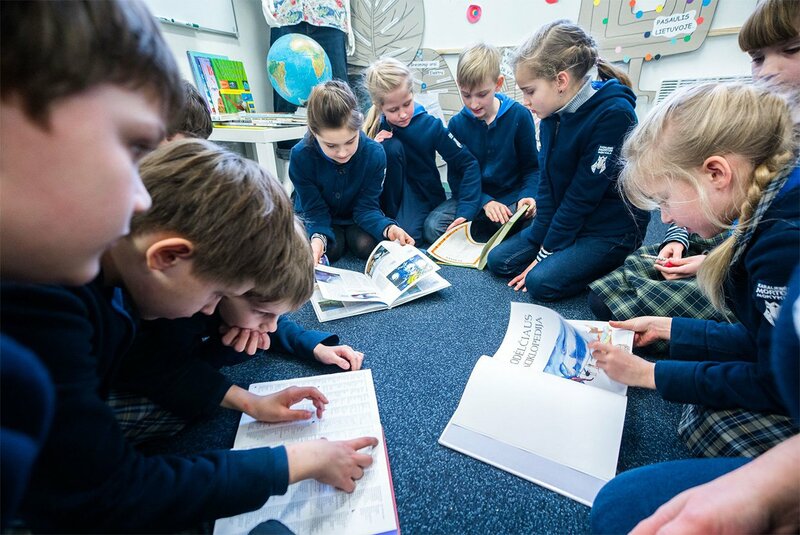 The essential characteristic of this educational system, which distinguish it from the educational systems used in Lithuanian schools, is contextual education. The goal of contextual education is to understand and explore in depth the multidimentional context of the child, i.e., the surrounding environment – socio-economic, cultural, biological, educational and any other context – and then to select and adapt the most appropriate education methods taking into account the particularities identified. 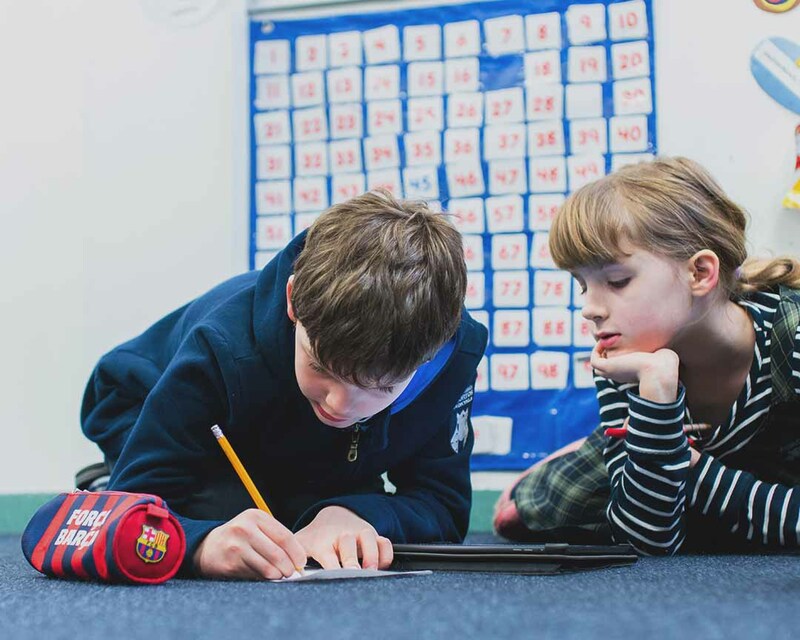 Implementation may be facilitated by consistent planning of the objectives for each lesson, and of the activities for achieving these objectives based on the educational content and the needs of the students. An education system based on the principles of contextual education seeks to promote children’s curiosity, ensure freedom of self-expression, develop character and lay strong foundations for values. Close collaboration among all participants in the learning process, namely teachers, parents and children, results in successful implementation of this educational approach. From 2017, three core subjects – mathematics, natural sciences and English as a foreign language – have been taught in accordance with Cambridge educational programmes. Mathematics and natural science programmes are integrated into the General Education Plan of the Ministry of Science and Education, complementing and extending the national programme as well as ensuring a more comprehensive educational appproach and more accurate assessment of achievement. English as a second language is taught in accordance with the Cambridge requirements. Foreign language learning is very important in Queen Morta school. Contrary to many other educational institutions, students in Queen Morta school learn 3 foreign languages. 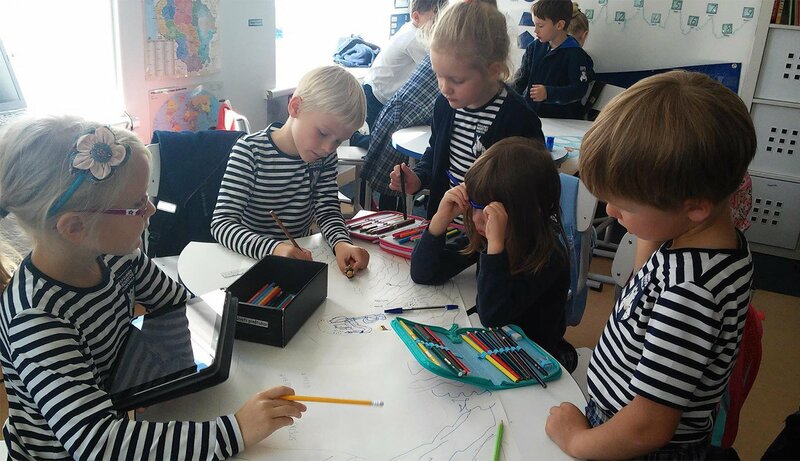 They start learning English in grade 0 and may select French or Spanish in grade 2, and finally, in grade 5, German or Russian language lessons are added.